* this is a liquor store business available near major highway located in stanislaus county, ca. * the store is situated in the neighborhood and located near busy highway with ample parking area. * store sales is upto $50,000 per month with good liquor store margin, as per owner. * additional income may be earned through rental of 3 bed/1bath house located on the property if the landlord decide to sell real estate (optional). * the business for sale has large 16 door approx. Walk-in cooler for display and storage of liquor, beer, wine & energy drinks. The store has separate storage room for extra inventory or other items of the business. * the store sells hard liquor and sale includes type 21- off sale general ABC license. * opportunity: the store doesn't have lotto lottery so new buyer may bring the lottery and increase the traffic. * rent is about $2500 per month (low compare to the building size). * landlord is willing to sell the real estate also. * buyer may get long lease from landlord. * real estate may also be available for sale at additional price which include 3 bed/1 bath house included. * owner may finance the sale for qualified buyer with mentioned down payment. * notice: sale documents may not be available for this business. Owner may provide enough opportunity to verify the sales by personally monitoring the sales at the location over the counter. To get location, please register and sign NDA online, then call or email us to discuss. Notice to buyers: this business opportunity and/or real estate is listed by western singh business brokers ("broker"). Visitor ("buyer") understands that broker or its agent(s) does not audit or verify any and all above mentioned information (not limited to sales, building size, lot size, margins, profits) given to or gathered by broker or its agent(s) or make any warranty or representation as to its accuracy or completeness, nor in any way guarantee future business performance. Buyer is solely responsible to examine and investigate the business, its assets, liabilities, financial statements, tax returns, and any other facts which might influence buyer's purchase decision or the price buyer is willing to pay. Any decision by buyer to purchase the business shall be based solely on buyer's own investigation and that of buyer's legal, tax, and other advisers and not that of broker or its agent(s). Any listing information may change at any time without any notice. 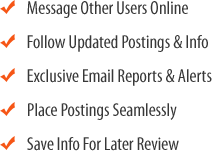 Buyer acknowledge that by using this website and inquring about any listings on this website shall not establish any agent and principal relationship between western singh brokers and the buyer. Western singh brokers is or will always be exclusive agent of seller only during any discussions or activities related to any listings on this website. The listing # 226518 Liquor Store With Real Estate - Stanislaus County below is currently OFF THE MARKET due to that it is either in escrow at this time or has recently been sold. 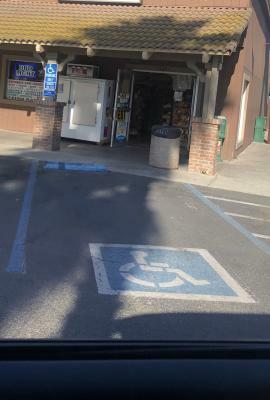 For more businesses for sale that are like this Liquor Store With Real Estate in Stanislaus County please see a sample of BizBen active listings below and links to all similar listings on BizBen.com. Seller Claims: Sales over $60K/month at 30% margin, Rent $3,653/month including NNN, Lotto and ATM commission is $18,000/year, Net income to working owner is over $90,000/year as per seller. 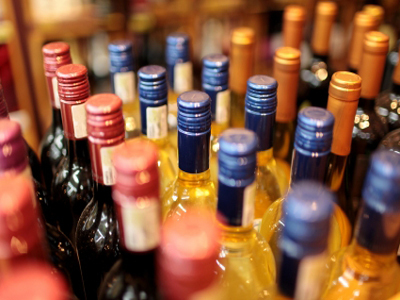 Liquor store Business in Modesto for Sale. Current Sale is $45,000/month, Rent $2200/month with long lease. Big size store with 15 doors walk in cooler. Please do not talk to any employees & sign NDA to get additional info. Stanislaus county type 21 off sale general license. 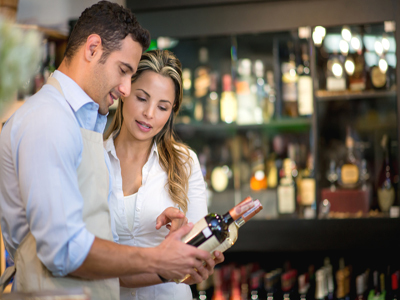 This is a type 21 license for sale, it authorizes the sale of beer, wine, and distilled spirits for consumption off the the premise. A perfect fit for a new liquor store. Is transferable to any location in STANISLAUS county. $120,000. Highly successful liquor store, deli and mini mart with a check cashing business. Located in a town close to bakersfield. Established in 1979 and has served the community since then. The property is over 5,000 sq. Ft. And has room for expansion. The real estate is included in the sale price. I am seeking a good liquor store, my client has about $800,000 in cash which could be used as down payment or for cash purchase. Monthly sales must be above $100,000/ month with good margin excluding Lotto sale and Sales Tax. If you are considering to sell your store then please call me. Excellent liquor store with huge upside potential. Closest competitor is approximately 3.6 miles north. Average monthly sales are $63,000. Current business hours from 7 a.m.-10 p.m. Includes the business, fixtures, equipments, and a type 21 ABC license. Under same ownership since 1999. Established Liquor store located in a very busy shopping center. Clean walk in box with plenty of room to add additional inventory. Monthly rent $2,300. 2,000 sq.ft. Inside sale are 60,000 to 65,000 average. Also has Lottery. Inventory is not included in the purchase price. Liquor Store with Check cashing Business & Real estate for Sale in Merced county. Asking $1.4 Million plus inventory. Well established & oldest liquor store with real estate for sale in merced surrounded by apartments and houses. Current owner owned it for more then 14 years. Monthly sale is around 45,000 and very high gross profit per month. Store sales were much higher but due to some financial hardship owner.